The UN World Tourism Organization (UNWTO) and stakeholders, namely the global private travel and tourism industry, had a say at the the IIPT World Symposium in Johannesburg today. 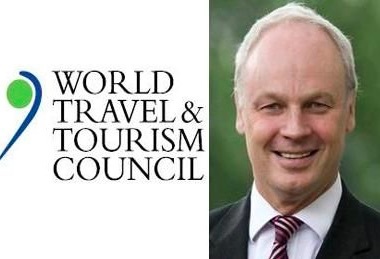 “WTTC wants to help the tourism industry to glow sustainably. Travel is the language of peace and it accounts for 9% of the world’s GDP and for 1 in 11 jobs. It employs over 12 million people in Europe and 63 million in Asia and 8 million in Africa. Tourism is glowing every year and is resilient. It grows 1% faster than the rest of the global economy annually. Beyond economics, it brings people together and is a force and driver for peace. We must harness the opportunities in rebuilding reconciliation and justice. It can be a source of conflict and uncertainty if no deployed effectively. “IIPT promotes a higher purpose of tourism, like reducing environmental impact. Such initiatives are widespread. Aggregating the data across the sector can be challenging, as sectors measure things for their own needs. The Hotel Carbon Measurement Initiative has helped with agreed upon metrics and measurements. Best examples of sustainable tourism are recognized annually. “Providing skills training is vital to development and tourism drives this as we strive to meet the needs of consumers. Over the next ten years some 40 million jobs could be at risk if the industry does not train people with the skills. Hospitality training is critical and there are initiatives to foster this. 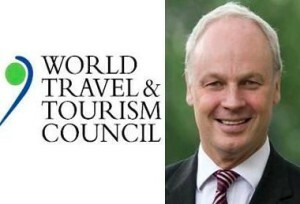 Tourism calls on many sectors and is keeping an eye on the supply chain. Tourism stimulates and also depends on connectivity. It helps people when they need it most, like planes helping during typhoons and supporting relief efforts. Governments must be encouraged to a more peaceful future. “Travel and tourism is a primal force, it doesn’t just mean holiday. What we have in common matters a lot. The more people travel and understand each other, the less chance there is of war. It’s an interdependence that can lead to more cooperation and peace.